Irrigation has always demanded answers to the same questions: “When?”, “Where?” and “How much?” In previous times, approximate answers were good enough. Now, however, precision and rigour are required if farmers are to keep farming. Fortunately, digital technology has made irrigation management both a much simpler and a much more accurate proposition. Good irrigation management is therefore key to providing the right amount of water at the right time. Thanks to technologies such as FieldNET Advisor, it is now possible not only to track the available water throughout the field but also to schedule irrigation to replenish water levels before the yield-reducing stress point is reached while avoiding overwatering. To simplify matters, the system automatically generates Variable Rate Irrigation prescriptions that are dynamically optimized every day according to the specific crop and soil requirements of the area under irrigation. “No longer is it necessary make complex calculations or juggle multiple tools, and it takes out the guess-work,” says Nel. Many farmers will apply a single depth of irrigation across an entire field and even across different crops, without taking into account obstacles, variable soil types and variable terrain, with the inevitable result of over or underwatering. With Variable Rate Irrigation, however, it is possible to get the right amount of irrigation at every point in the field simply by pointing and clicking with a mouse. 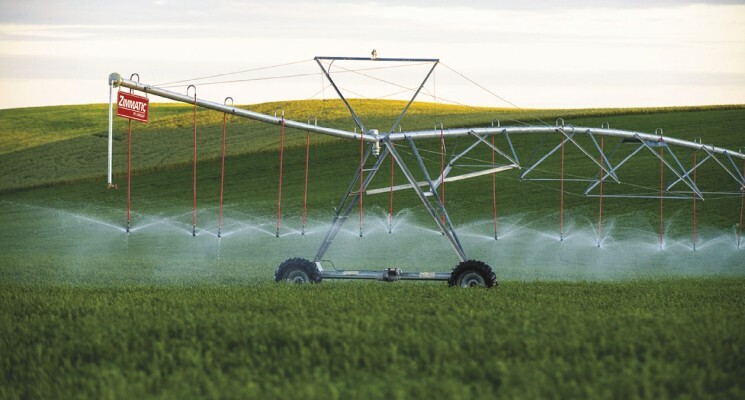 Site-specific agronomic data readings form the basis of a customized irrigation plan entered into the Precision VRI controller and relayed wirelessly to the pivots. This level of precision results in savings of 15-20% on water, pumping, and input costs. Plans can be saved and reused throughout the year. FieldNet, VRI, FieldNet Advisor, Corners—just how many platforms does a farmer need? 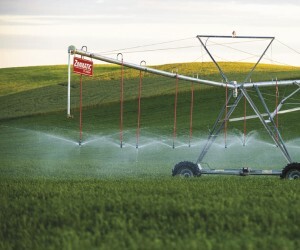 What if a farmer has more than one brand of centre pivots or more than one type of irrigation system? “That is the beauty of FieldNet,” says Nel. “All of the Lindsay technology are all manufactured in house and can be operated by the FieldNet Platform and App. That means all of the technology (FN, VRI, FN Advisor etc.) is on one platform and it doesn’t matter what brand of pivot. The competition still need to get all of their technology on to one platform. We can put FieldNet on any brand of pivot. FieldNet can also be installed on other types of irrigation systems,” he concludes.